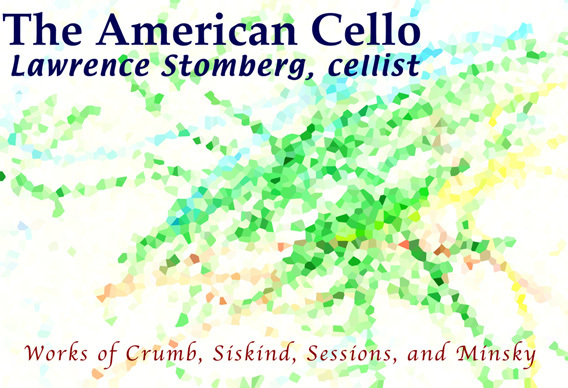 For inquiries about The American Cello, please click here to email Lawrence Stomberg. This disc was a project to record 20th-century works for unaccompanied cello by American composers, to show the breadth, depth and diversity of repertoire in this seemingly narrow category. Two of the works, the Paul Siskind Three Epiphanies and Aaron Minsky Ten American Cello Etudes, are presented on CD for the first time ever. The Sonata of George Crumb and the Six Pieces by Roger Sessions are classics of the cello literature. The CD was recorded in the Kairos Studio in Nelson, NH (USA), with the wonderful recording engineer, the late Byron Smith.